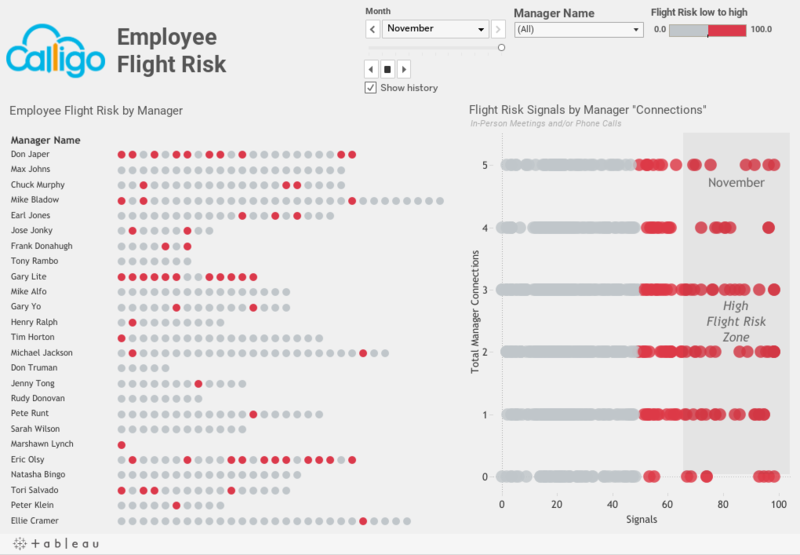 A HR team of a global software team needed a dashboard that could track and report out on employee flight risk. Decisive Data worked with the client to build an interactive dashboard that utilized color to drive meaning to focus on managers with employees most likely to leave the company. The HR team now has simple yet powerful dashboard that enables them to track and monitor employee flight risk and make timely decisions contributing to increased employee retention.